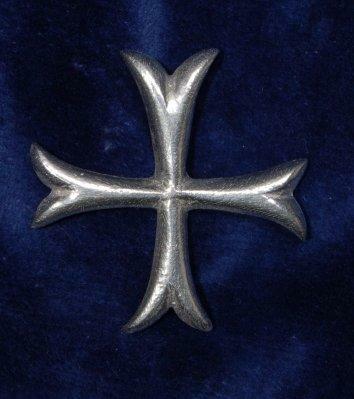 Cross of the Knights Templar. 4cm across. My own design. With two lapel pin fixiings on the rear.